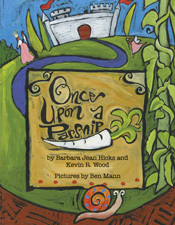 Kids, Farms & Farmers: Oh Yeah! Farm-to-Table. It’s all the rage–and with good reason. For starters, local food tastes better! It’s fresh-picked at its peak and delivered to your table in minimal time. Food that comes from somewhere else has been transported on trucks, trains or planes and stored in warehouses before it finally gets to you–not so fresh any more. Eating local benefits communities, farmers and the environment as well as our tastebuds. Grow NYC, a nonprofit that supports greenmarkets in New York City, tells how here. 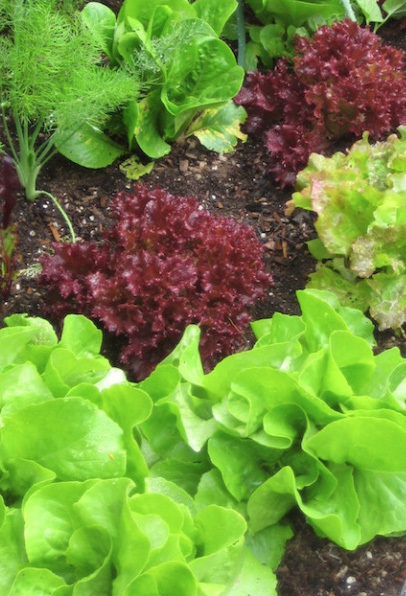 One of the best ways for children to learn about where the good food on your family table originates–and one of the best ways for them to learn to love it–is to grow it themselves. Since everything is new when you’re a kid, pretty much every food is unfamiliar. And introducing kids to unfamiliar foods isn’t always easy. Children warm up to new foods slowly. Sometimes it takes 15 or 20 or dozens of times for a child to be presented with a food before he learns to eat it. (Check out the Ellyn Satter Institute for more information.) Making the introduction to an unfamiliar food fun instead of a forced feeding can make it easier. How to do that? Many ways! Read a book. 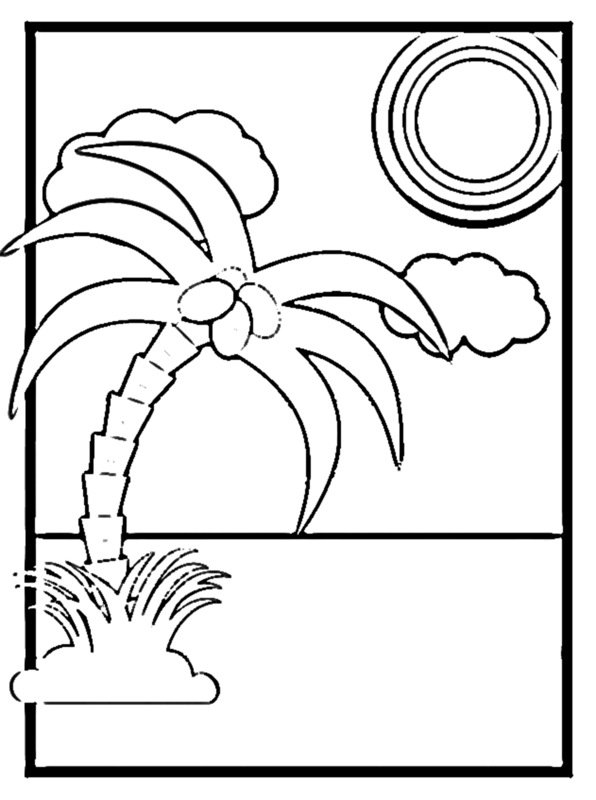 Download and print a coloring page. Share a hands-on activity. Sing a song. Watch a video that introduces the food in a silly way. 1. Coconuts are not a nut; they are a fruit, related to peaches and plums because, like those fruits (called “drupes”), they have a single seed at their center. 2. 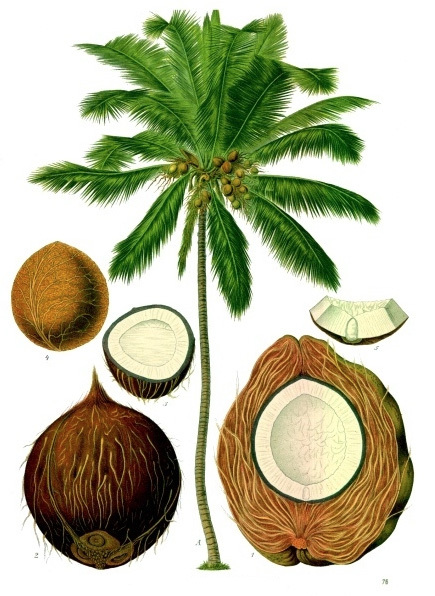 The word coconut comes from the Spanish and Portuguese word coco, which means “grinning face” or “skull.” It was named by 16th century sailors who thought the coconut shell looked like the face of a monkey! Hurray for the Red, White & Blue! 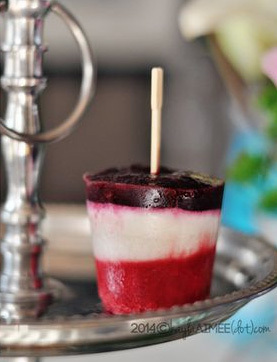 A creamsicle might not be the first thing that comes to mind when you think of healthy foods–but this homemade red-white-and-blue version, made with fresh berries, coconut milk and a little sugar-free coconut-milk ice cream and honey, is as healthy as a yummy, kid-friendly dessert can get. The recipe was created for a child with dairy sensitivities; if you prefer, use low-fat dairy milk and ice cream, which will also reduce the sugar content a bit.